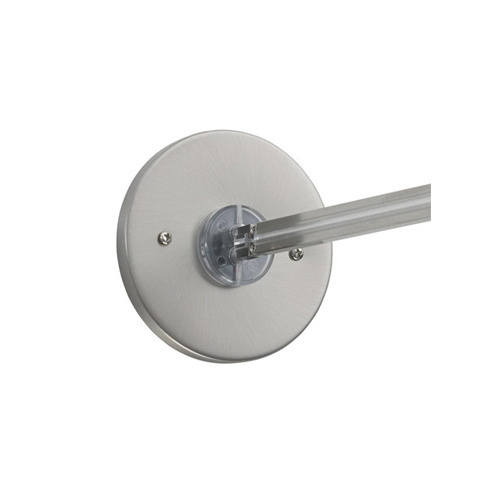 Tech Lighting MonoRail Collection 4-Inch Dia Round canopy single-feed direct-end power feed is compatible to use with a single-feed remote transformer. It has satin nickel finish and supports wall mounting. This direct-end power feed gets power from a remote transformer to the rail at an end of the run and mounts to a wall perpendicular to the run. Power feed is cETLus listed.